The Golden Pheasant has been part of the local community for over 50 years. It has a vast and very interesting history. In its early life it was the only public house in the area, as Kirkintilloch was a dry town. It was, as you can imagine, an extremely busy place in those early days! Over the years Landlords have come and gone but thankfully the customers continue to frequent both the bar and restaurant. We took over the business in September 2013, following the Golden Pheasants sudden closure. The walls were vandalised, staff were left without wages & the loyal customers were without their treasured local pub. It was a bit of a mess! However, being a Lenzie family, we had great support from the locals from day one. We had the place up and running again in no time and haven’t looked back since! We are a bar & restaurant situated just outside Lenzie in the sleepy village of Auchinloch. Our bar area is very traditional in nature. We show all live sports, have a pool table and run regular entertainment. Our restaurant is family orientated and we focus on providing freshly prepared food. No frozen ping meals in this establishment! We use only local suppliers and all our butcher meat comes from fantastic local butcher S Collins & Son. We grow our own herbs and even have our own flock of hens which provide us with fresh eggs every morning. We really do try and go the extra mile! 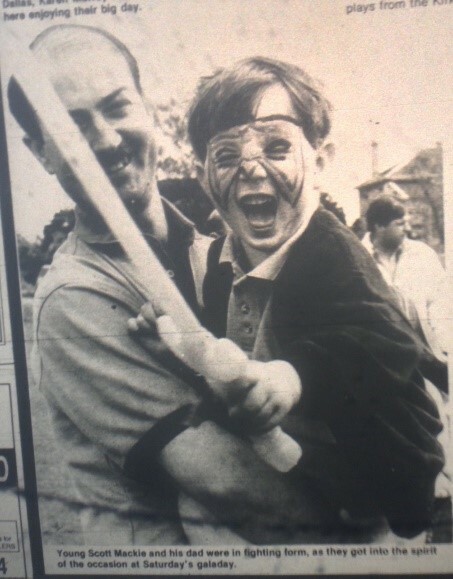 Growing up in Lenzie myself I have extremely fond memories of Lenzie Gala Day! It was certainly something me and my friends looked forward to every year. The memory that probably stands out most was coming home with my very first pet, George the Goldfish, which I was lucky enough to win at one of the stalls! Overall it was a great day to catch up with all my friends and family who would always be there, come rain or shine. 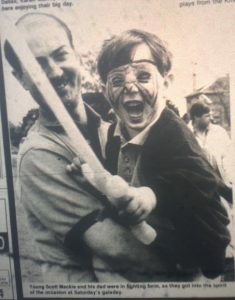 I even made the local paper one year with my Dad, see below for embarrassing picture! I think it is great to see so much effort being put into the Gala Day! It is an invaluable day for the local community and has been for so many years. I am glad it is still going strong & is also being kept fresh with some new ideas and innovations. More participation from local organisations is exactly what the Gala needs and I am extremely grateful to have that opportunity. As a local business owner, I am very reliant on local support. Without it my business would not survive. Consequently, I try to be as involved as possible with the local community. I am always keen to give something back and show my appreciation for the custom I have received over the years. I think the Gala day represents a prime opportunity to do this. I am going to reserve my comments here until after the event has taken place. I am sure there will be some elements of the event which will prove to be successful and as always there will be some lessons to be learned. I am happy to offer my insights at some point afterwards & hopefully can be involved next year at a slightly earlier stage of the planning process. The Golden Pheasant is a family friendly bar and restaurant situated in the small village of Auchinloch, just outside of Lenzie. We provide freshly prepared food daily & pride ourselves on using only the finest locally sourced produce. As well as our cosy restaurant we have a lively bar area which hosts regular entertainment and shows all live football. We have close ties to the local community through our sponsorship of local football clubs Lenzie Thistle & Kirkintilloch Rob Roy & also support many local charities including the Tennis Aces. We have been operating as a florist for 5 years, working mostly in Wedding and Events. Our shop in Lenzie is our first retail premises and we have been opened since the beginning of July. We are a florist and gift shop providing fresh flower arrangements for special occasions, Weddings, Events and Funerals. We stock a wide range of gifts, cards etc. We have both lived in Lenzie all of our lives ( 30+ years) and have fond memories growing up within the community. We would always look forward to the Lenzie Gala as it was always a great day with lots to do. We admire that the GalaFEST is becoming more new and current to the next generation and keeping up with the currents trends. 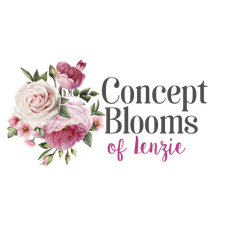 Being within Lenzie and enjoying the Gala all of our lives, when we opened the florist we were keen to become part of the community and give something back. now that we have the opportunity to do so . To be able to provide support to such a big event within our area is something that we feel passionate about and pleased to have the chance to do. To be able to give something back and be part of your local community is rare, therefore if an opportunity comes up to be involved and see how much your support can help the community we would enthusiastically endorse that! A florist and gift shop ran by two local sisters. We provide fresh flowers, gifts, cards and much more. We pride ourselves on being able to offer beautiful arrangements for all occasions, first class customer service and a friendly inviting place to visit, even if its just for a browse. We also provide flowers for Weddings, Events, Funerals and all occasions.